WWE has officially released a statement following the passing of Hall of Famer Nikolai Volkoff. Today marks an extremely sad day in the history of professional wrestling, with Brian Christopher, Volkoff & Brickhouse Brown all being reported to have passed away. We’ll update you on the latest information regarding Brian Christopher & Brickhouse Brown, with conflicting reports regarding both men. Best known for his dastardly, WWE Tag Team Championship–winning union with The Iron Sheik, Volkoff’s in-ring career spanned the better part of 40 years, which featured battles against the likes of Sgt. Slaughter, Hulk Hogan and Bruno Sammartino. 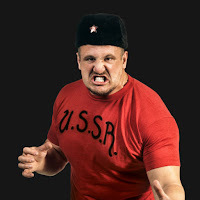 As one of the greatest villains sports-entertainment had ever seen, Volkoff’s infamous rendition of the Soviet National Anthem before his matches made him an instant icon in the eyes of the WWE Universe as a Superstar they truly loved to hate. Jim Ross inducted Volkoff into the WWE Hall of Fame as part of the Class of 2005.